I follow a greyhound rescue, which has regular auctions to raise money for the kennels. I try and donate something each time for the raffle, which then attracts (usually silly) bids, all in a good cause. This time I put up one of the Minions hats - and furious bidding started lol. 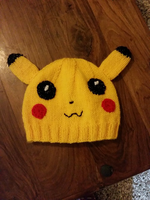 One lady has messaged asking if I can make two Pokemon hats for her grand-children. I must admit to knowing less than nothing about Pokemon - only that for a time half the country seemed to be wondering round, phones in hand, chasing these invisible creatures! So now, the hunt is on, for Pokemon Hat Patterns. Pokemon? I am clueless too. Does it have anything to do with Minions? Hope you find what you need VW. I don't know anything about Pokémon either. My daughter was into Pokemon when she was little, then the latest one pokemon Go. As you say it's all about searching for invisible pokemon. Once I learned what it was all about, I had to leave the room for fear of laughing. It is not really any different from train spotting. which O B V I O U S L Y is V E R Y uncool! Our youngest was into Pokemon when it was around the first time - last year we saw so many people, phones in hand looking for them but haven't seen any for a while now. Good luck with the Pokemon hats! 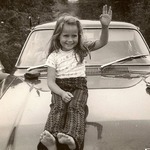 Thats lovely VW, is it adult size? That was my daughter's favourite, I recognise it and remember it well. Nice job! These are fun VW, sure to please the lady's grand children.